The Nike Air Penny V officially debuted earlier this month with the "Treadwell Eagles" edition. 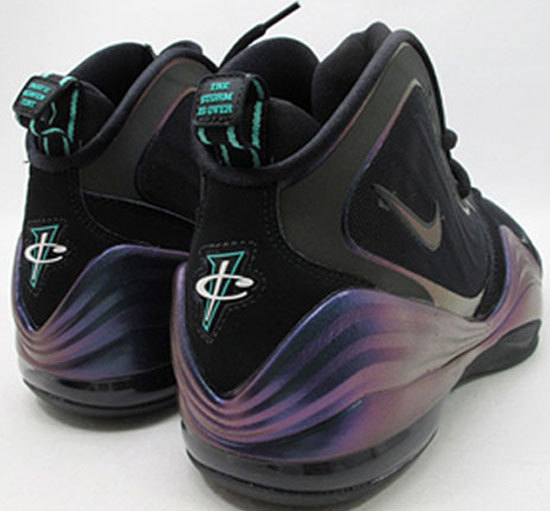 Numerous colorways are set to release including this "Invisibility Cloak" edition. Check out the auction here. 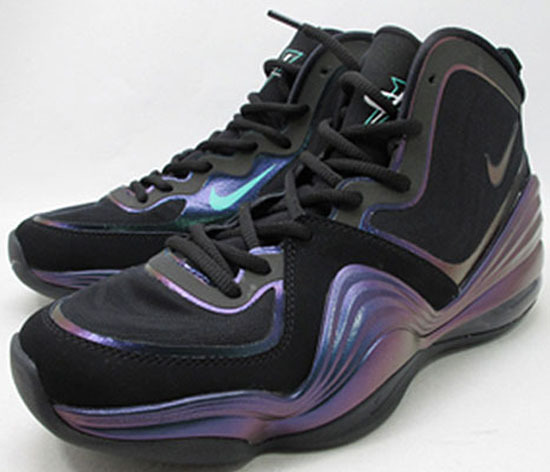 The next colorway of the Penny V, the "Orlando" edition is set to drop in October with "Phoenix Suns" and "Miami Dolphins" colorways set to follow. Also in that list is this "Harry Potter" aka "Invisibility Cloak" edition. 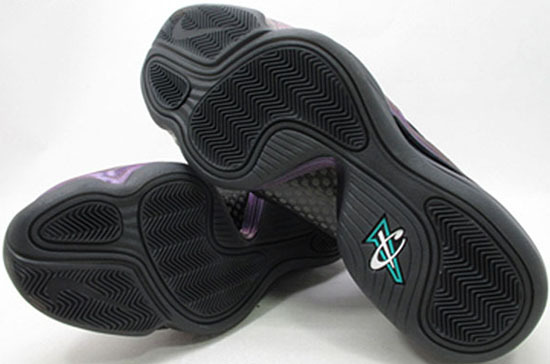 Featuring a colorway similar to the one found on a Zoom Kobe VII back in February of this year. 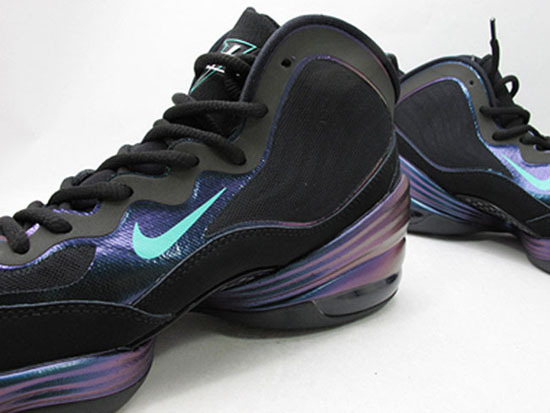 They feature a black-based upper with hits of purple and teal blending into one another. One could also go as far as calling them "Aqua's" but, i'll leave the nicknames up to everyone else. 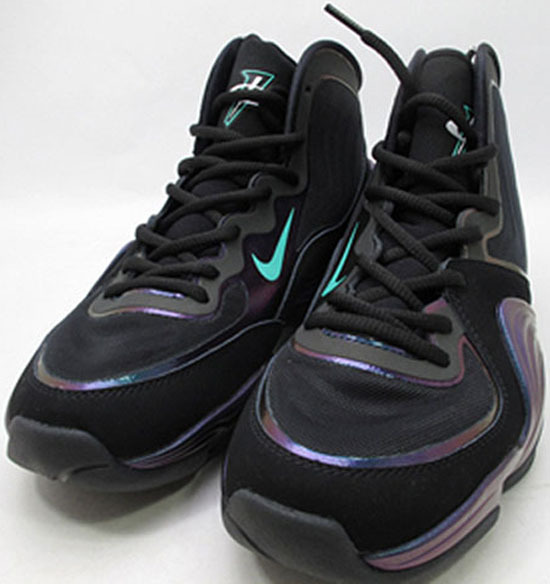 While no release date has been announced yet, a sample pair has popped up on eBay. 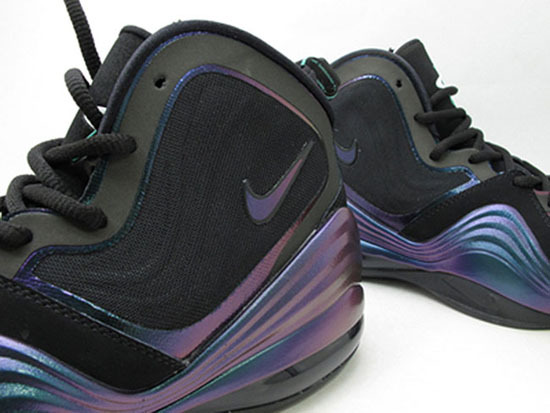 So, enjoy the detailed look at this upcoming Nike Air Penny V colorway. Once I have release info, i'll be sure to post it up. If you're interested in getting ahead of the crowd, Click here to grab a pair on eBay.